We are accepting orders of $50.00+. New- N. edwardsiana! 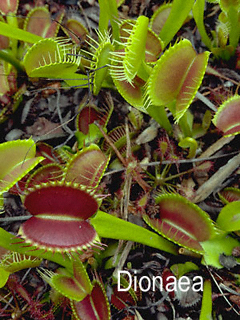 Botanique is a plant nursery specializing in carnivorous plants, such as the Venus' Fly Trap, Pitcher Plants, Sundews and more. 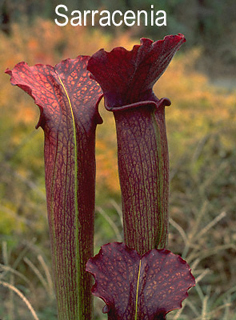 Pitcher Plants are the main focus. 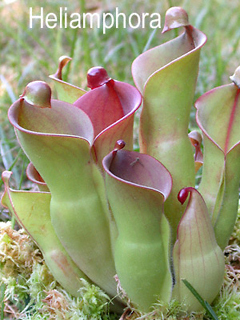 Our nursery is home to the greatest variety of Pitcher Plants in the U.S.A. . Hundreds of new hybrids and selections are only found at Botanique. 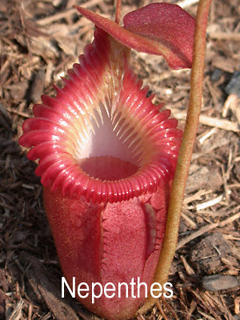 Research on carnivorous plants is performed at our facility. 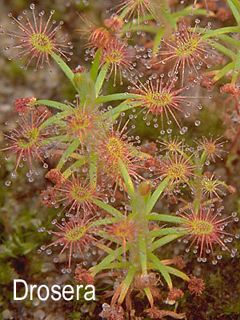 Our focus is on environmental and horticultural analysis of carnivorous plants and their habitats. We are located in the Blue Ridge Mountains near Stanardsville, VA. Appointments must be made to visit the nursery. Our efforts have been recognized by many groups, including National Geographic, (May 1992, page 73). All our plants are nursery propagated. Growing instructions reflect years of experimentation and evaluation. Contact Rob for wholesale ($200.00 minimum), retail (over $50) information or to make an appointment to visit. Scroll down to get the general wholesale .pdf document. 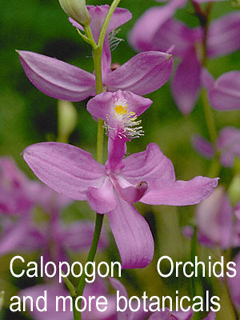 Click on the images to visit the plant groups in this site. Scroll down for information links. © Copyright 2018, all rights reserved- Text: Botanique; Artwork/Photos: Robert Sacilotto (web guy). Retail Ordering Information and order form. Making an outdoor Bog Garden. Making and Maintaining an indoor Terrarium.